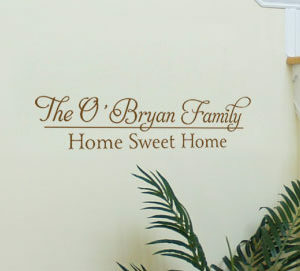 Home Sweet Home is a song originally adapted from American actor and dramatist John Howard Payne’s 1823 opera Clari or The Maid of Milan. Composed by Englishman Sir Henry Bishop with lyrics by Payne, it became very popular all over the United States and was well-loved by both Union and confederate soldier during the Civil war. Today, it still remains to be a favorite after over 150 years, but this song’s title has become a cherished phrase that holds precious meaning. For some, it is expressed after returning from a long journey, indicating that physically, there may be far more beautiful places elsewhere but nothing can compare to the familiar and comforting sights, sounds, and smells that only a home brings. Then again for many of us, even just a long day at work is enough to miss the warmth of home. 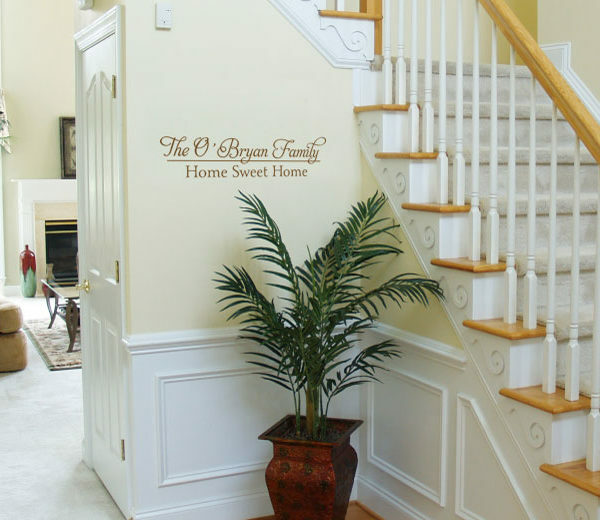 And this is why the wall words‘Home Sweet Home’ is just perfect for a foyer like this where it reminds you leave all worries at the doorstep and savor time with loved ones. Choosing white for our homes is one way to keep them looking bright, relaxing and airy. 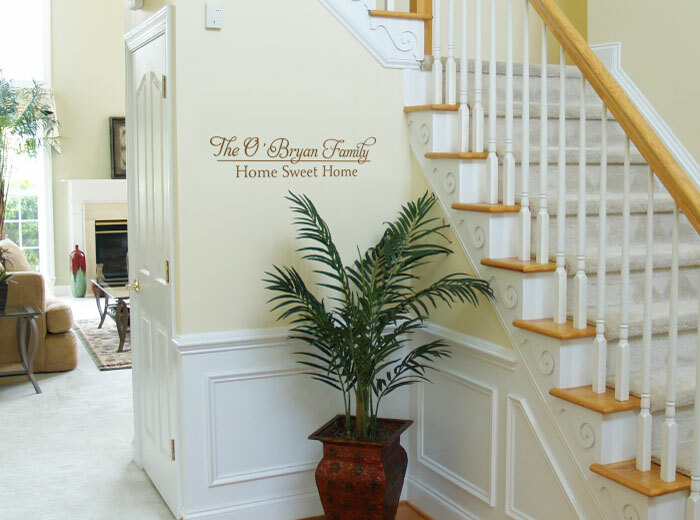 Touches of light toned wood and greenery and this brown Family name set compliments the soothing ambiance. 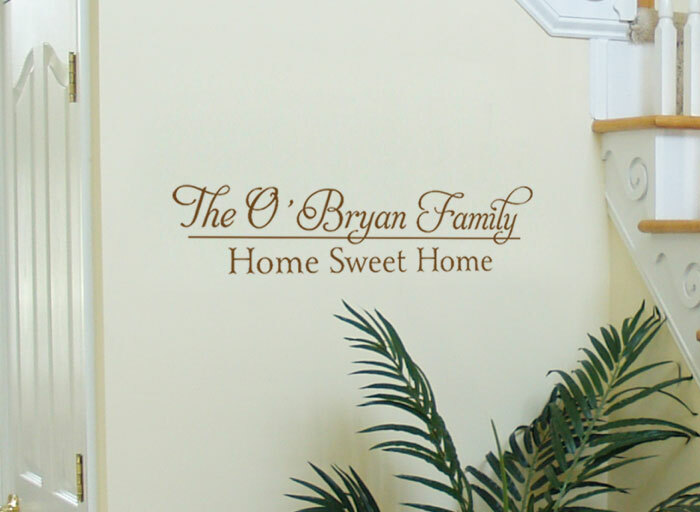 Wisedecor wall decals and reusable stencils are delightful and practical solutions to enhancing the beauty of your home. 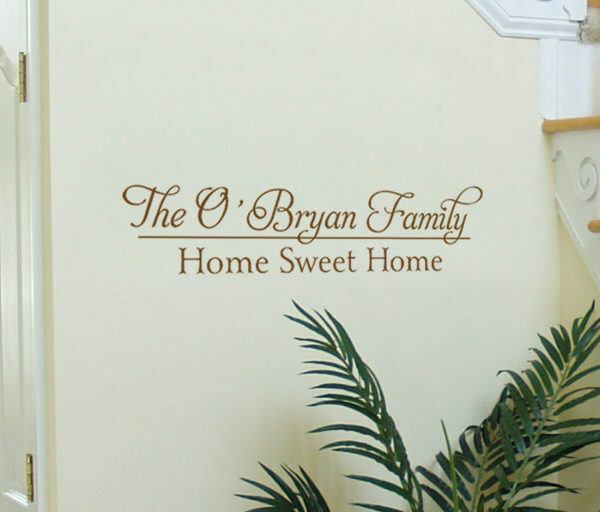 We invite you to take a look at our wide selection of quotes and pictures to help you design the ideal wall word decor for your living spaces.